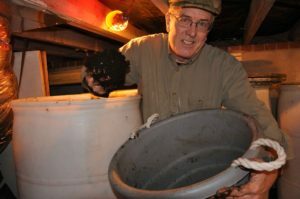 Over eight years ago, Durham native Garry Lipscomb, an avid gardener, bought 3 pounds of worms and a “worm castle,” and began growing his own vermicompost in his two-car garage. 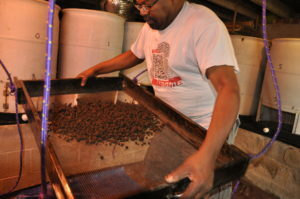 Soon, he became so interested in the science of vermiculture that he signed up for Dr. Rhonda Sherman’s world-renowned Vermiculture Conference at nearby North Carolina Central University, an event which has been held annually for the past seventeen years. 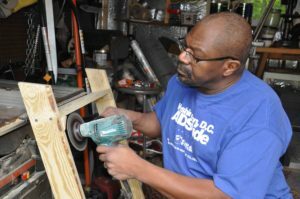 Two short years later, Garry moved into his three-acre property in business friendly Durham County, with adequate space and set-backs to start his own home-based business, named NewSoil, with his partner Bill Corey. 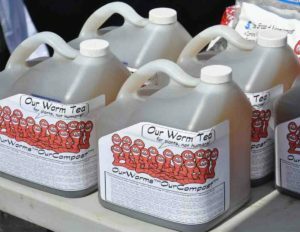 Garry’s original 3 pounds of voracious and prolific Red Wigglers have multiplied into literally millions of worms! 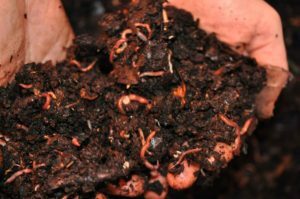 In 2017, NewSoil Vermiculture became the only permitted worm composting facility operating in the State of North Carolina, accomplishing a 3 year long application process with the Solid Waste Division of the Department of Environmental Quality. Garry and Bill have never stopped expanding their knowledge base regarding the complications in the successful cultivation of these worms, as well as investing substantial amounts into the equipment necessary to carry out this work. And as chance would have it, they found themselves located in the center of one of the most dynamic areas of agricultural innovation in the country, next door to not only NCSU’s Ag School, but also the State’s Raleigh-based Department of Environmental Quality, a wealth of support for small start-up composting operations. With its abundance of schools, hospitals and research facilities, North Carolina’s RTP is the North Carolina’s most dynamic and progressive region — the most open to the advances in green technology and recycling — our best option to help shrink our reliance on landfills. There is a willing and eager population — individuals and institutions alike — ready to participate in the improvement of our soil through the reclamation of organic compostables! Above all, it is our dedication which is greatest asset. We are committed to sustainable growth through green technology with the lowest impact on our environment. Our mission is the widest possible dissemination of this precious resource to our businesses, institutions, and homes.